Frank's Roundhouse # 123. Delaware, Lackawanna & Western 7001. Photo courtesy of the D. Haydt collection. Frank's Roundhouse # 124. 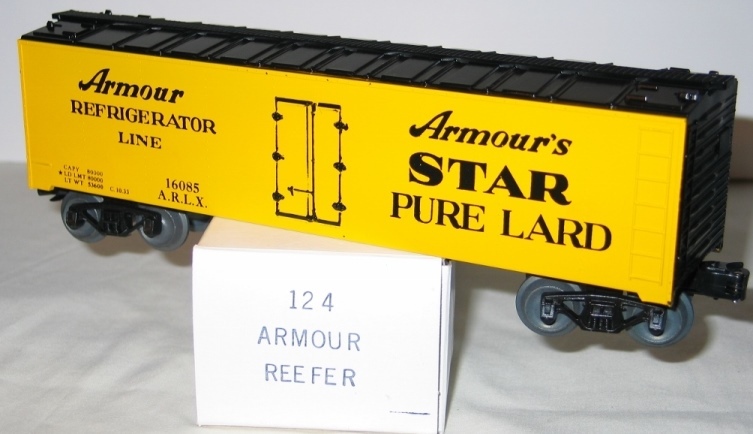 Armour Refrigerator Line 16085. Frank's Roundhouse # 125. 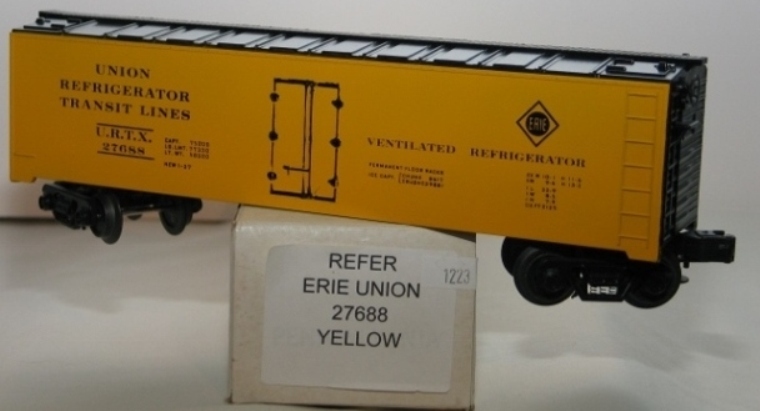 Erie 27688 Union Refrigerator Transit Lines. Frank's Roundhouse # 126. Lehigh Valley 2534 Route of the Black Diamond. Frank's Roundhouse # 127. 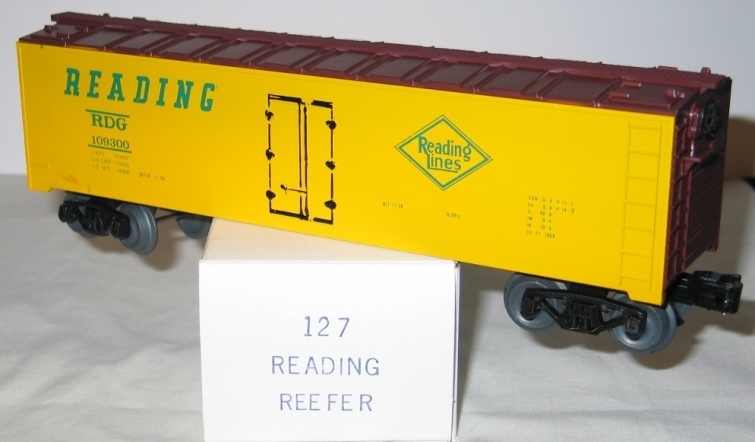 Reading Lines 109300. Frank's Roundhouse # 128. Swift Refrigerator Line 5100. Frank's Roundhouse # 129. 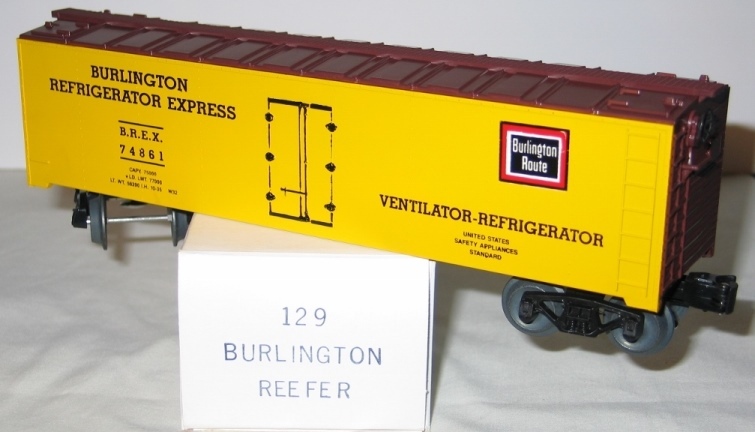 Burlington Refrigerator Express 74861. Frank's Roundhouse # 130. CMStP&P 91320 Union Refrigerator Transit Company.